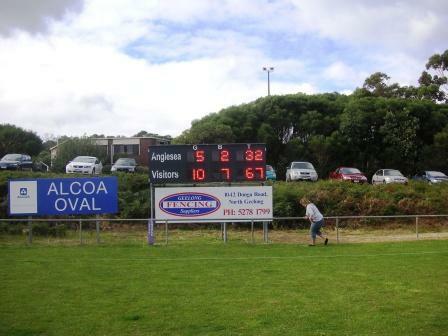 Anglesea Football Club has two scoreboards. There’s a digital scoreboard on the Dave Harding wing and there’s a manual scoreboard up in the marvellously named Marg and Ted Norman Pavilion. The fans under the verandah of the pavilion see the digital scoreboard (with sponsors’ signs lining the boundary) and the fans in their cars cast their gaze to the manual board (as the timekeeper/scorekeeper hangs the numbers). 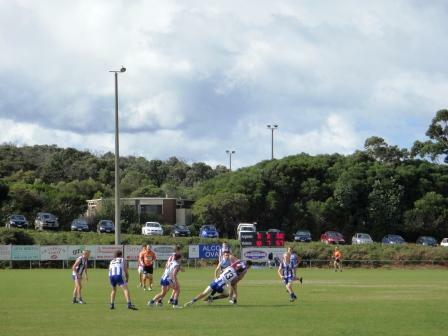 The Kangaroos are a strong club in the Bellarine Football League near Geelong and has started the 2011 season very well. On Easter Saturday, though, the under 18s were 35 points down at three-quarter time and failed to make up the deficit against Modewarre. 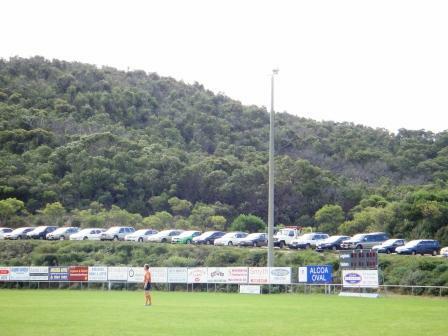 Nearly quarter-time in the Easter Saturday reserves game against Newcomb. 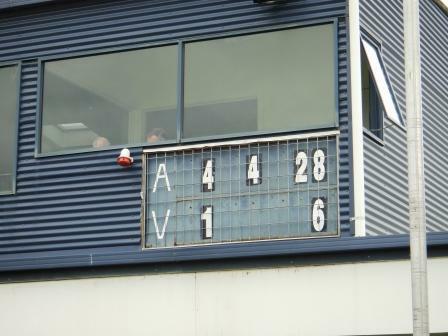 Anglesea scored another 20 goals (and 16 points) while Newcomb’s first-quarter goal was its only for the match. The Adelaide Crows’ Patrick Dangerfield played for Anglesea (as did his father, his uncle and his cousin). The seaside township is on the Great Ocean Road, between Torquay and Lorne.